Hotel guests at the upper end of the sector naturally expect smooth running during their stay away from home: clean and maintained surroundings, well-fitted-out gym and spa, and a superior restaurant offering much more than passable food. Providing all these things is the hidden world of the hotel, what the staff usually call “Back of House” and which the guests only rarely glimpse as a “Staff only” door briefly opens and shuts: the concealed kitchens and storerooms, offices and corridors. 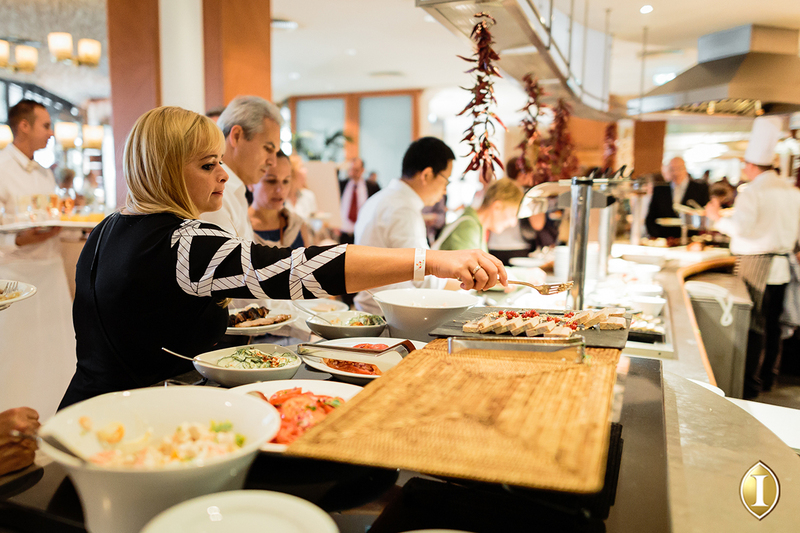 At InterContinental Budapest, for instance, where they prefer to call it “Heart of House”, more than 200 employees are busy keeping the place in tip-top shape, whether it be changing the sheets and towels, oiling the treadmills and exercise bikes or arranging the flower displays. And then there is the world-of-its-own kitchen. The InterContinental’s has a team of 35 including chefs, pastry chefs, an Asian specialist, butcher, store keeper and apprentices. Working in shifts, theirs is a 24-hour job, from the breakfast team starting at 4.30am, right through the a la carte menus for lunch and dinner to room service all day and night. The hotel also might cater for a banquet of up to 600, either on the premises or elsewhere, and it has a Club Lounge private area with nibbles and drinks for guests who want an exclusive space to hang out. Then, just to complicate things a little more, there are seasonal menus and promotions too, not to mention the staff canteen. 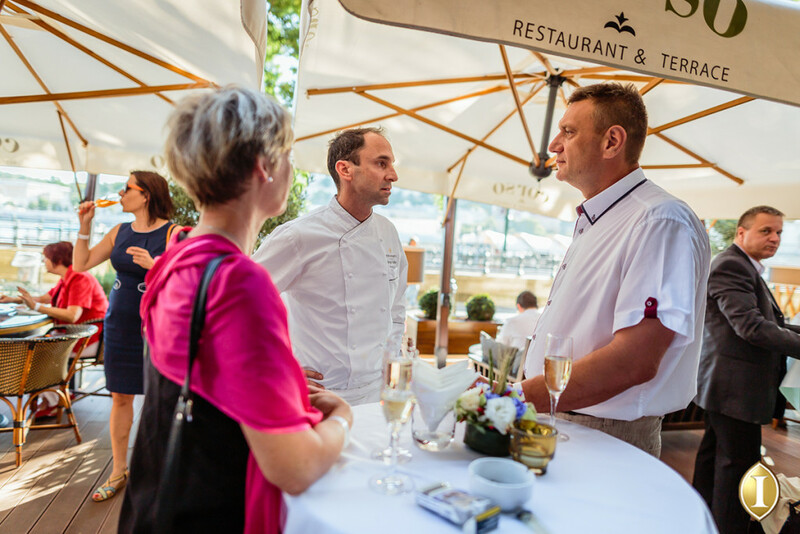 Running this entire fine-dining operation is executive chef Gergő Gullner, who has been in the profession since leaving school. Now in his early 40s he is into his third decade as a chef, as was his father. For nearly half of his working life, Gullner has been travelling abroad working here and there and picking up culinary influences. 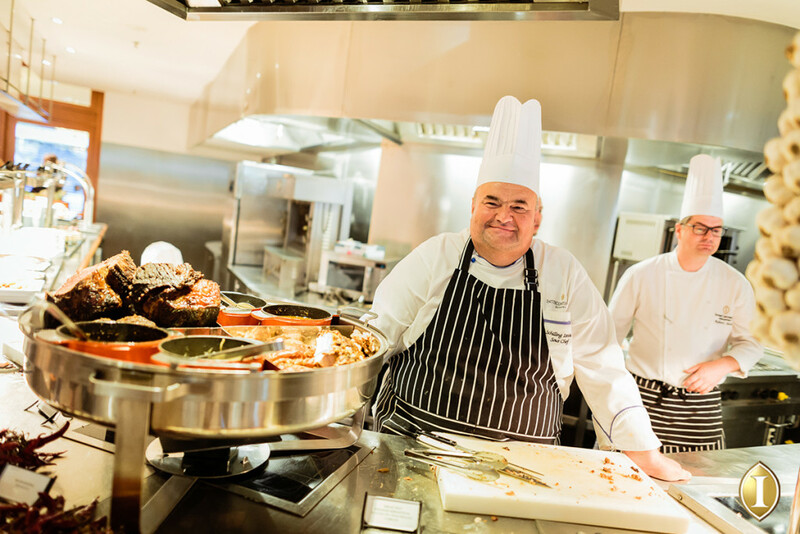 He spent about seven years in the Middle East and when he became the InterContinental’s executive chef more than two years ago he was able to add both these and Mediterranean flavours to his Hungarian heritage. 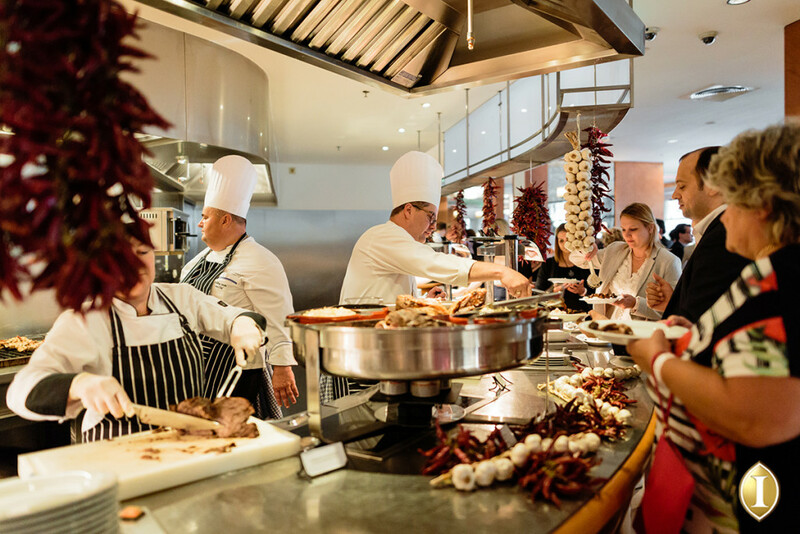 “Joining the InterContinental after travelling I thought it would be a great time to bring back traditional Hungarian food but on a different level,” he says. “Nowadays we chefs are looking for traditional Hungarian ingredients and products combined with traditional techniques of the past, but travelling teaches us new tricks that we can combine. Seeing the lavish offerings in five-star hotels in places such as Dubai, Qatar and Kuwait meant that a larger selection has become standard for Gullner at the InterContinental, something that will be appreciated particularly by anyone who has indulged in breakfast or Sunday Brunch there, either as guests or locals on a visit. Despite the wider offering of dishes, quality rules over quantity, plus a seeking for higher value, healthy options, attention to detail, a changing selection and greater seasonality. He likes to buy local if the quality is guaranteed. He tries to put himself in the guests’ shoes to see what food they want, and often talks to regular diners to discover their personal likes and then prepare accordingly for them next time. Globalisation receives a thumbs-down for its profit-motivated quest for wider markets, resulting in many undesirable side effects. “Globalisation makes me upset,” Gullner says. “My grandfather did not know about these things – lactose intolerance, gluten, ’fresh’ milk with a three-week expiry. The InterContinental’s breakfast offering, for instance, has a Hungarian corner with smoked trout from Szilvásvárad and accompanying horse-radish mousse, with apple, sausages from Gyula, mangalica ham, körözött cottage cheese, lilac onion, lemon and spicy green Erős paprika. Then there is the Asian section with congee soup, tofu with vegetable, stir-fried egg noodle, wonton, dim sum, kimchi, and pickled ginger and cucumber. In between, the selection includes multiple breads, fruits, fresh juices, tuna, smoked salmon, turkey ham, beef cold cut, boiled ham, mortadella cold cut, Tihanyi camembert , Márvány blue cheese, Brie de Meaux, Nuremberg sausages and sour cherry compote. And Törley pezsgő. “People choosing our Corso restaurant expect not only the best food and quality service but also a memorable experience, so this is what we are striving for,” says Gullner.